Tkinter package is shipped with Python as a standard package, so we don't need to install anything to use it. We will use Python 3.6, so if you are using Python 2.x, it's strongly recommended to switch to Python 3.x unless you know the language changes so you can adjust the code to run without errors. 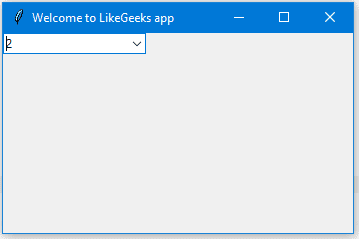 We will start by creating a window to which we will learn how to add widgets such as buttons, combo boxes, etc. Then we will play with their properties, so let's get started. 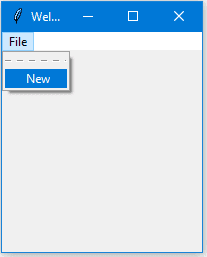 Without calling the grid function for the label, it won't show up. Let's try adding more GUI widgets like buttons and see how to handle button click events. Now, if you tried to click on the button, nothing happens because the click event of the button isn't written yet. 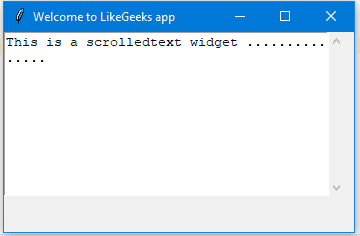 In the previous Python GUI examples, we saw how to add simple widgets, now let's try getting the user input using the Tkinter Entry class (Tkinter textbox). 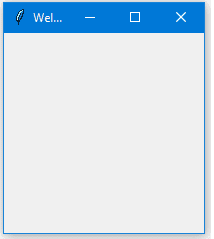 If you click the button and there is text in the entry widget, it will show "Welcome to" concatenated with the entered text. 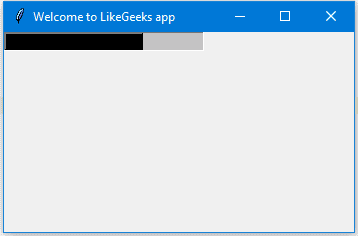 Now, you won't be able to enter any text. Here we create a variable of type BooleanVar which is not a standard Python variable, it's a Tkinter variable, and then we pass it to the Checkbutton class to set the check state as the highlighted line in the above example. Note that you should set the value for every radio button with a different value, otherwise, they won't work. To get the currently selected radio button or the radio button's value, you can pass the variable parameter to the radio buttons and later you can get its value. 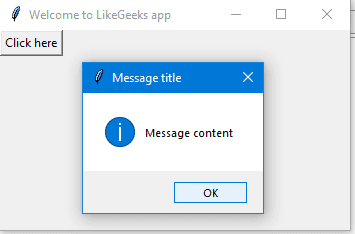 Let's show a message box when the user clicks a button. 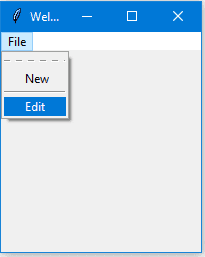 Just replace the new_item in the above example with this one and it won't show the dashed line anymore. I don't need to remind you that you can type any code that works when the user clicks on any menu item by specifying the command property. 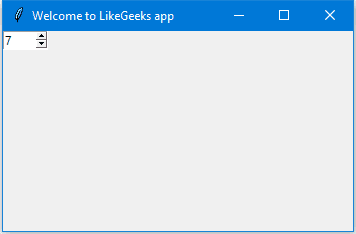 In this tutorial, we saw many Python GUI examples using the Tkinter library and we saw how easy it's to develop graphical interfaces using it.